Home » Blog » Amazing Ideas to make your Own Custom Lehenga from Real Brides and WHERE to get them! Amazing Ideas to make your Own Custom Lehenga from Real Brides and WHERE to get them! Honestly, speaking for all brides, while we love designer wedding outfits, we’re soo bored of every bride wearing the same red or pastel Sabyasachi or Anita Dongre lehengas, aren’t we? One of the new trends of 2017 is Brides looking for something unseen. Something new and most importantly, something YOU (aka a custom lehenga ). 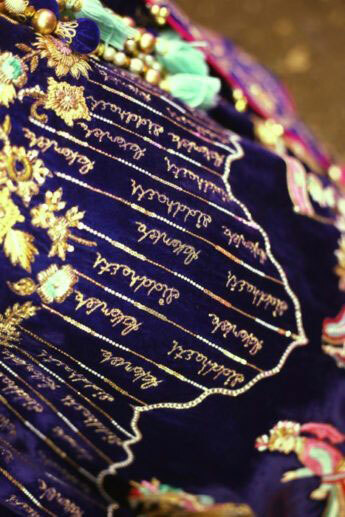 But how do you get a personalised wedding lehenga made and who from? Fret not, just check out what we got! We’ve handpicked our fav. 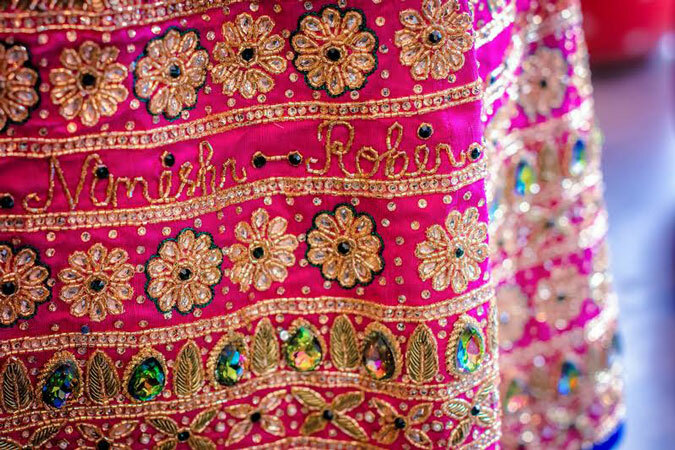 Real Brides who had a super pretty personalised wedding lehenga, so you have all the ideas you need to make your own custom lehenga . Now you’ll have the most stunning dress that doesn’t fail to impress, ‘coz we’re also spilling the beans on WHERE to get this done! Kresha wanted a fairytale lehenga (don’t we all?). She looked like a vision in white and gold. And like we always say, it’s all in the details, for this lehenga it is true. Where – Kresha made this herself! Where – This gorgeous outfit was done by Kajal’s Couture in Surat. 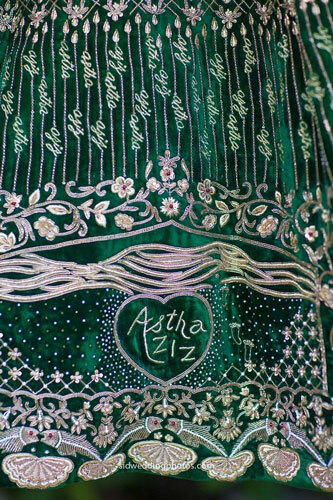 Even Astha customised her and her S.O.’s Name on her lehenga with the help of her mom whose a fab designer in Ludhiana. Where – Anu Astha Couture in Ludhiana. Where – This one is so easy you can ask any designer to add it in for you! Nindiya and Nirmal | Witty Vows. Where – Nindiya designed this herself (super bride alert!) and Olga by Jay (in Bombay) brought her designs to life. Where – Kresha now designs under her brand koesch for other brides too! Whoohooo! She made this for Samantha Prabhu. 10 Totally LIT Bridal dupatta draping styles you NEED to See!